Once again, I am honored to craft the winning recipe idea for #ChicagonistaLIVE. When I heard pulled pork, I knew I had to do some sort of dry rub. It’s just how I’ve learned to do things. This recipe is inspired by Tennessee flavors as well. This an easy recipe to do. You can prep your pork ahead of time. I seared mine after adding the rub to really lock in the flavors, however, you don’t need to do this step. Especially if you have the time to let your pork sit overnight, then the flavors will meld on their own. 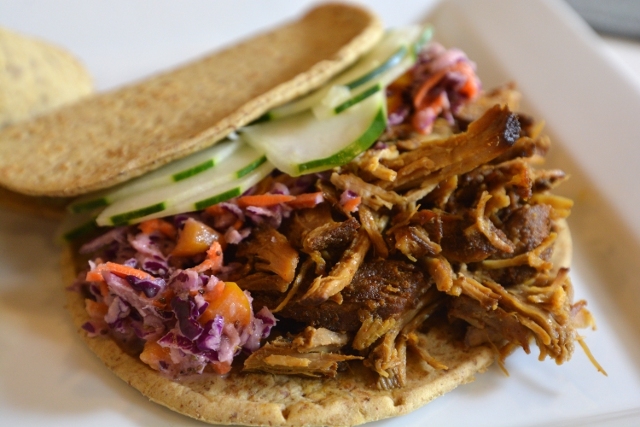 The slaw is a quick and easy addition to the sandwich. You can run all your veggies through a food processor to get even pieces. All you have to do is combine all the dressing ingredients together and mix. The slaw is also best left to sit if you have the time but not essential. Altogether the pork and slaw add up to a sandwich with a lot of tang and bite. The spice is not fierce in this recipe. This barbeque is all about the mouth pucker. We have a zinger on our hands and beware it is juicy and drips. So you may want to roll up your #FlatoutLove instead of fold it. However, how you craft your sandwich is entirely up to you. 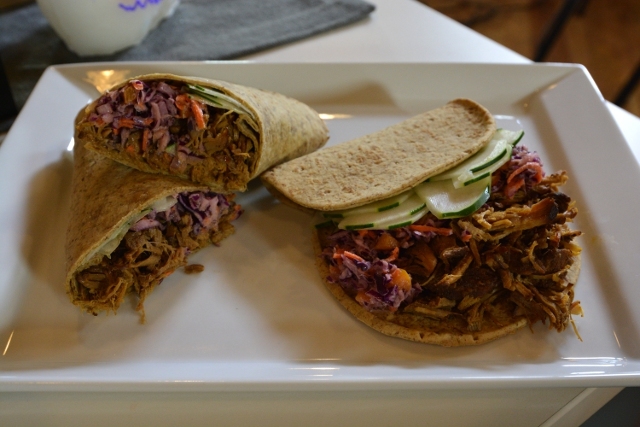 Be sure to watch ChicagonistaLIVE again to see more winning recipe ideas. I look forward to filling more Flatout Bread with bold flavors you crave. 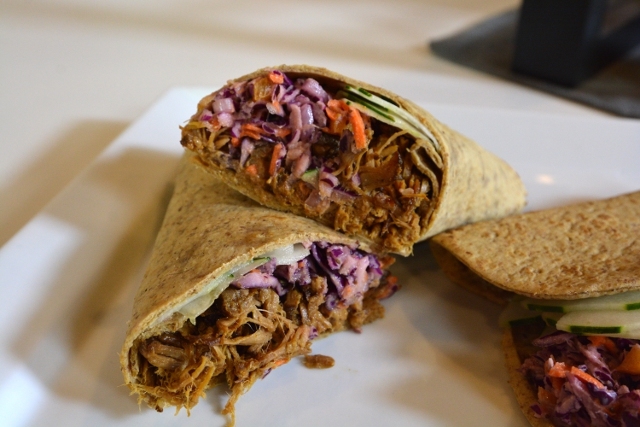 The Pulled Pork that you craved all rolled up in Flatout Bread. Put all your veggies through the food processor. We want slaw that is easy to eat with no big pieces. Mix your slaw marinade in a small bowl before combining with veggies. You can let this sit overnight. Slice your cucumber thinly. As much as you desire to put in your sandwich. Combine the dry rub ingredients. Pat dry your pork as much as possible before coating the pork in your dry rub. You can sear the outside and then cook right away or let it sit wrapped overnight. Combine your wet ingredients. Pour them over the pork in your slow cooker. Cook on high 4-6 hours until done. You can also cook to temperature 195°F for pulled pork to really fall apart. Assemble your sandwich on the Flatout Bread of your choice. Enjoy!